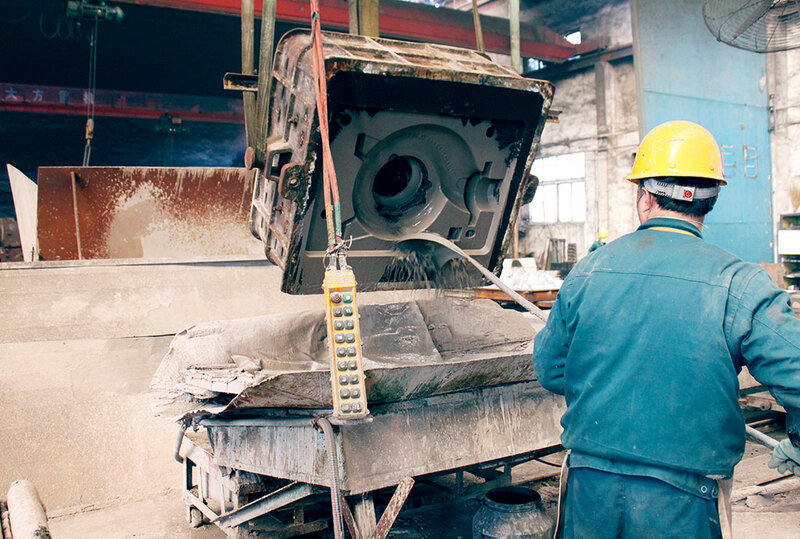 We pour castings in Green Sand up to 450 pounds (200 kg). 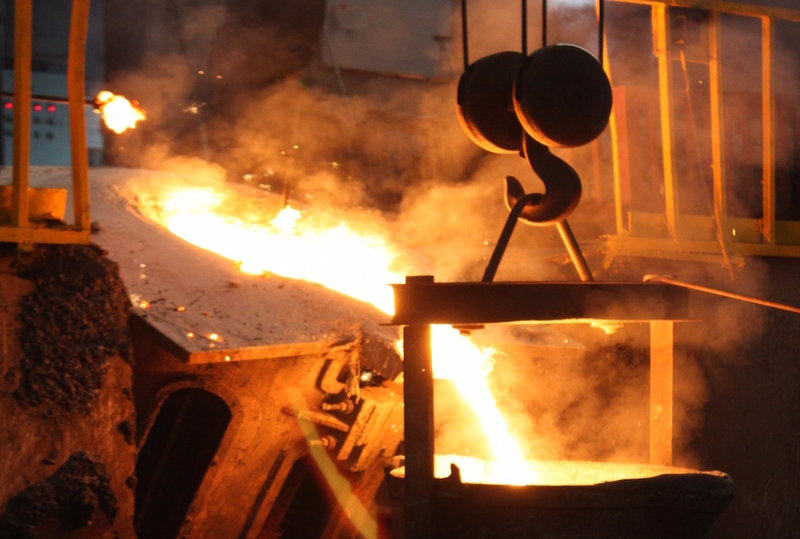 GBS utilizes 24 sets of molding machines and 3 induction furnaces to produce up to 4.5 tons of iron per hour. The 3 furnaces allow for some redundancy in case of furnace downtime. The green sand process utilizes a chemically bonded sand that does not require additional treatment after the mold is made. 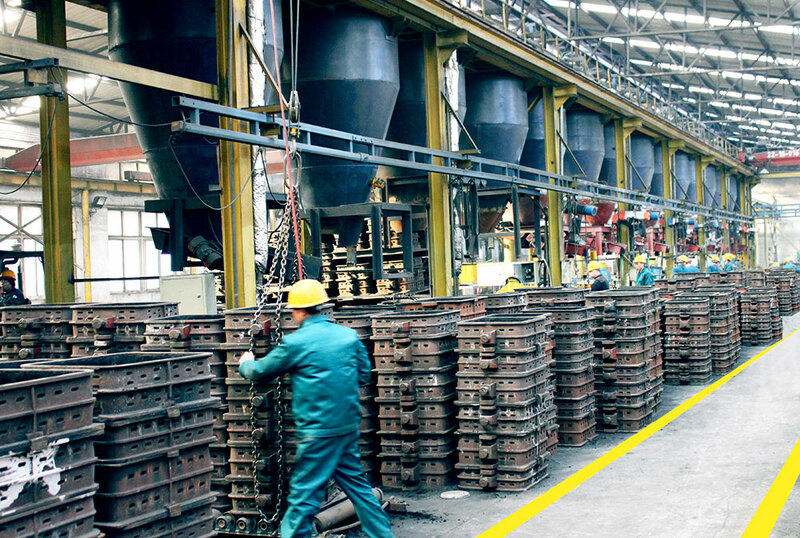 Special sand controls are required to maintain the high quality finish and dimensional stability. 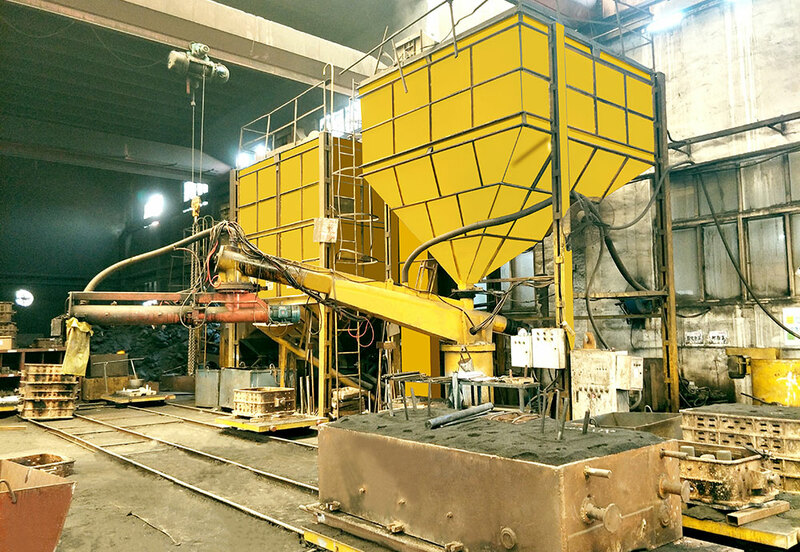 We are able to produce up to sixty tons per hour of this special sand which more than satisfies the amount of iron being poured. For more information on sand control please see Chemistry Control in the Quality section of our website. 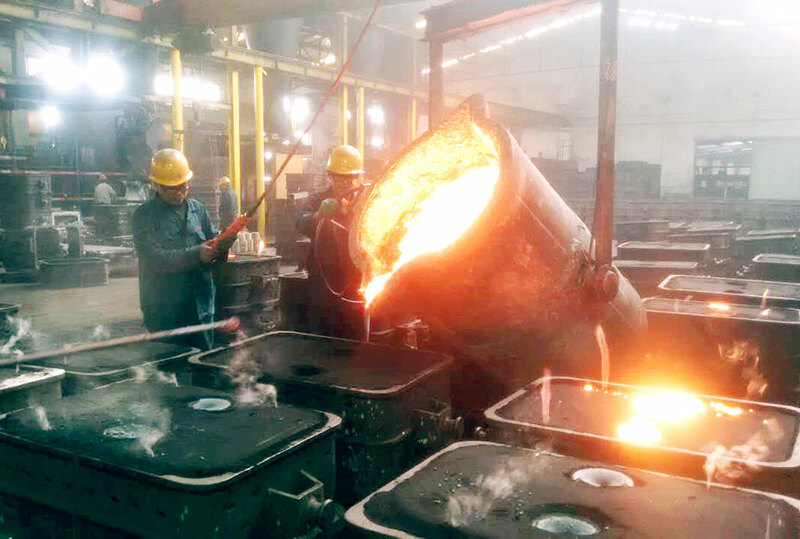 We are able to pour castings in Resin Sand up to 2.5 tons. 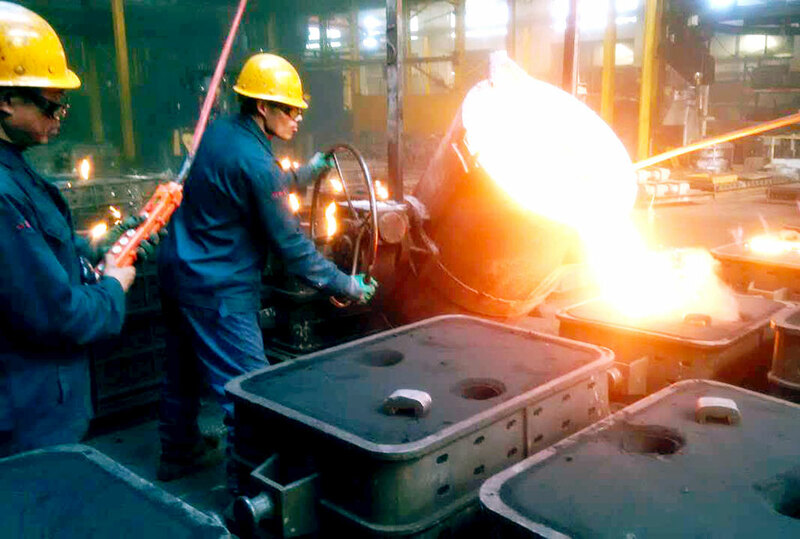 The preparation of these complex molds generally requires a higher level of expertise, especially in the design and assembly of the many parts of the mold. 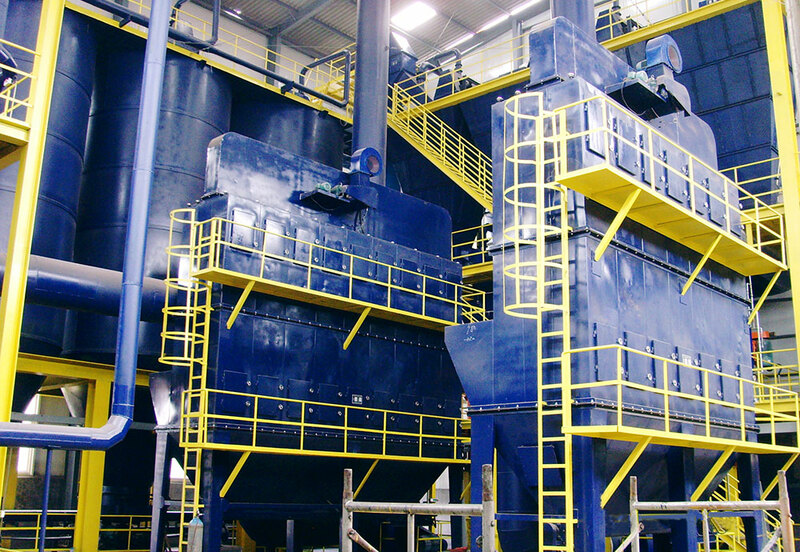 We can accommodate molds up to 95” X 95” X 58” on a production basis. 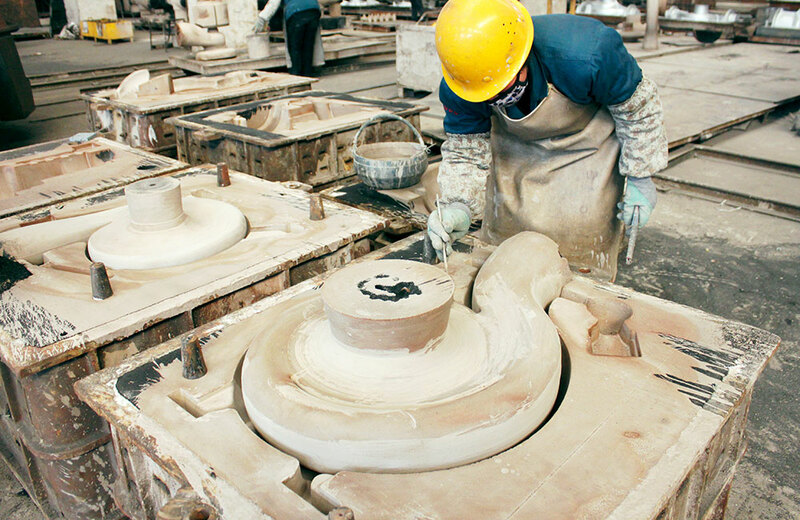 The Resin Sand requires treatment, “painting”, and firing during and while the mold is assembled.